At Metro Custom Plastics, our 40+ years of injection molding expertise won us the contract for producing the meter housing highlighted here for a municipal water district. We managed this project from conception to completion. The talents of our industrial designers combined with our disciplined approach to product engineering allowed us to create the customer required design. The new design was flexible enough to mount wireless emitters of various shapes and sizes while having a cosmetically appealing appearance. Raw materials consisted of the customer's old, damaged plastic components that we recycled and molded back into the new meter cover. After evaluating various prototypes, a final design was selected. This design incorporated a special nameplate insert that allowed the cover to show the required municipality information and logos. Before the molds were built, finite element analysis was used to simulate the molding process. In addition to optimizing mold geometry, we were able to validate production parameters such as clamping forces, heating, and cooling times. 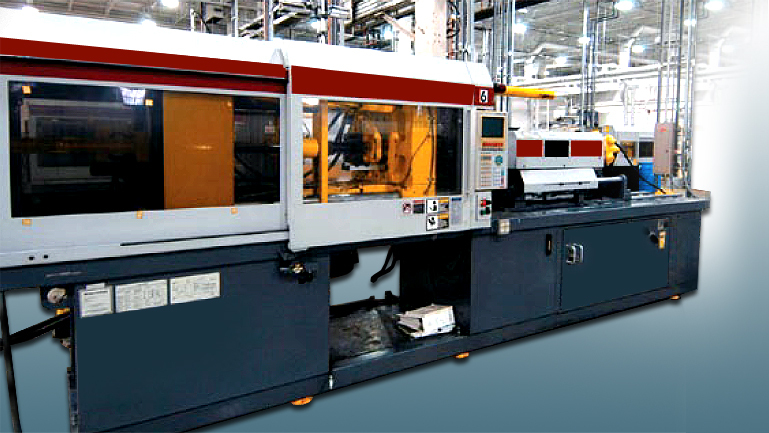 This up-front engineering was a critical factor for keeping both tooling and production costs to a minimum. When completed, the enclosure featured dimensions of 12.5" O.D x 3.0" in depth and a high gloss finish. Third-party certification testing confirmed product integrity. After receiving the completed products, the municipality expressed their total satisfaction with this project by awarding us a second project for a larger enclosure, which we completed with the same elevated level quality while keeping costs very reasonable. If you are interested in learning more about this project or our expert injection molding capabilities, contact us today.